Want to build a home with the latest construction technology? Build with the leading insulated concrete form and enjoy a greater quality of life – inside and out. Expanded polystyrene and concrete are today’s homebuilding equivalent to peanut butter and chocolate. Polystyrene has long been used as an insulator because of its closed-cell structure and lack of thermal conductivity – think about a drink cooler filled with ice on the inside that still feels perfectly warm on the outside. Concrete has an even longer history of offering homes with exceptional strength and durability – think about the foundation of any home or structure standing today. These two materials, combined with a genius single-wall construction, offers a continual insulating wall that inhibits energy loss and provides a constant R-Value of up to R-28 – for life. Help protect your family against the power of Nature. People’s lives – and entire towns and neighborhoods – have been decimated by severe fires, hurricanes and earthquakes. Logix’s concrete core withstands more. 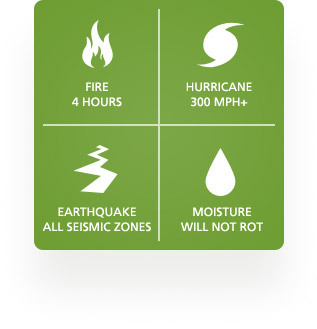 Logix XtraComfort homes are wind-rated to over 300 mph, have a 4-hour fire rating, protect against earthquakes with engineering available for all seismic zones, and prevent moisture penetration to protect against rotting of the structure. Green homes don’t just help you reduce your energy consumption, they also offer cleaner and healthier indoor air quality. For greater breathability and livability, the construction materials are non-toxic and do not emit gas or VOCs, and offer zero nutrient sources to promote the growth and spread of mold. Logix’s advanced design also leads to a reduction in your exposure to another form of pollution – noise pollution. The same construction methodology that reduces air flow also affects noise flow, reducing outside noise to a whisper. 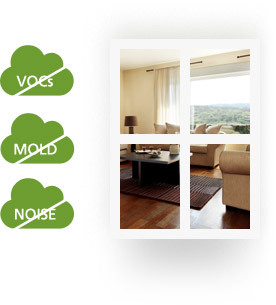 Breathe less volatile organic compounds. Hear less outside noise. 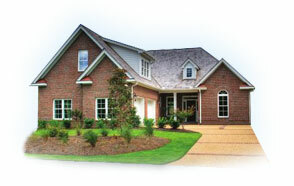 A Logix home resists many typical age-related building issues. With Logix, living better also means looking better. Unlike wood-frame built homes, your Logix home is frost resistant, mold resistant, crack resistant, pest resistant, waterproof and is not susceptible to drywall nail pops. In areas prone to termite infestation, the Logix TX™ Series has been specially treated to prevent against termites.